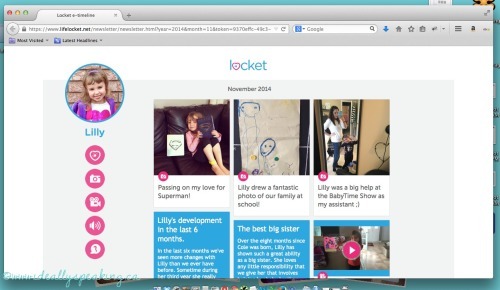 Capture Family Moments with Life Locket App. Like most parents, I love to chronicle all of the little milestones and achievements of my kids lives. I have no problem admitting that I’m a bit of an over sharing mom. If you don’t believe me you can check out my Instagram for proof. It’s not my fault, just like how darn cute they are. 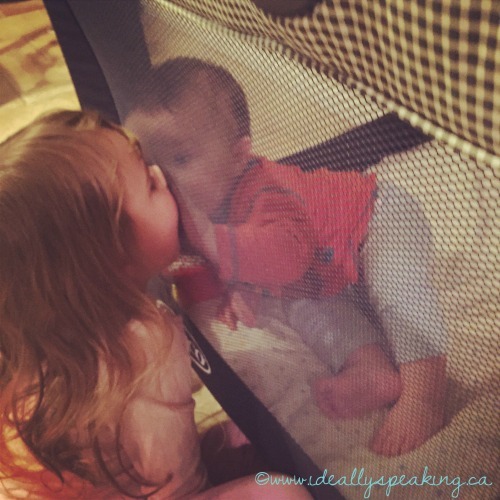 Kisses through the playpen. So adorable it hurts. When I was pregnant with Lilly I started a wonderful baby book. I included photos of my ultrasounds, updates on my pregnancy, and tons of pictures after she was born. sadly, I haven’t kept it up the way I’d hoped. And while I have purchased a scrapbook and some supplies for Colton, I have yet to start anything… And he’s eight months old. I started this blog because I love the idea of having a digital space to put everything about Lillys life. When I got pregnant with Cole, this site became a space for both of their lives. And while I love sharing the beauty of parenthood with my audience, sometimes I wish there was a way to share more detail with just our close family and friends. When I heard about the Timewyse Locket app, it sounded right up my alley. 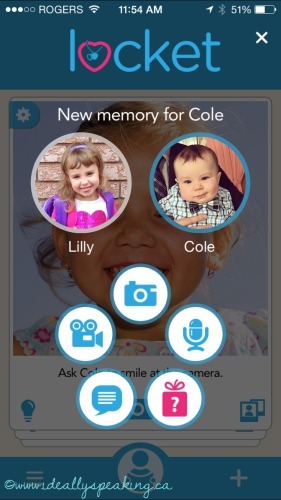 This beautifully designed mobile app uses photos, videos, text and voice memos to build the perfect digital baby book. The memories can then be viewed in the app, on a e-timeline through a web browser or you can even have a photo book printed. The welcome screen on the app has a lovely design and is so easy to navigate. I’ve set up accounts for both Lilly and Colton and have gone back a few months to really get a great feel for the ability of the app to give a full timeline. What I love about this app is that is combines all of my favourite media types into one place. I can write little updates like I do here on the blog. I can share photos and videos like I do on Instagram and Facebook. Plus I can share short voice memos, which are a nice change since they allow me to really convey excitement, love and other emotions in my voice. I had a chance to meet some of the Locket team at the BabyTime Show in Toronto where they had a few of the books on display. They are incredible quality…and kind of put my messy scrapbook to shame. While I know I will eventually get to a bit of scrapbooking too, I do love that this app gives me the ability to create memory books for my children that I can add to at any time, from anywhere. Using my smartphone to add moments to share and build their timeline from the palm of my hand is extremely convenient. I know that this is something I can upkeep much easier and can’t wait to see how their first round of printed books turn out! #WordlessWednesday with linky: Cole’s Official Baby Photos! Wordless Wednesday with LINKY: The Good Things In Life. Sears Wish Book. A holiday tradition. Starting a new annual family tradition.